After a long 14 hours journey from Delhi reach Manali by today morning. Upon arrival at Manali Volvo bus stand our cab will pick you and transfer to your hotel. Get freshen up and same day get ready for today’s sightseeing. Take a half day city tour of Manali; visit the Hidimba Temple, unique for its pagoda architectural design located in the midst of a very old pine Forest. Then to Visit the Vashisth Sulfur Hot Water Spring, and then to Tibetan Monastery, which is at the heart of the city. Evening return back to hotel. Rest of the day free to leisure and Independent activities. Overnight stay at hotel. Today after breakfast drive to Rohtang Pass/ Snow Point. The total distance is 51 km, Situated at an altitude of 4,111 meters (13,400 ft) above from sea level on the NH 21 to Leh. Here one can sees the majesty of the mountains at its height and splendor. At the top of the Pass the air seems to glitter against the snow as you look down over herringboned ridges into the Lahaul Valley. Enroute visit Kothi Gorge, Gulaba, Rahala Falls, Marhi and Solang Valley and enjoy skiing, Paragliding and other adventurous activities (package cost does not include any of such activates). Return to hotel by evening. Rest of the day free to leisure and Independent activities. Overnight stay at hotel. Morning leave for Manikaran, total distance is 85 km. Full day excursion visiting Kullu, Vaishno Devi temple, Angora farm, Kasol valley, Manikaran hot water spring, Shiva temple, Gurudwara and Rama temple. Manikaran has the World’s hottest Sulfur Spring Waters and is a holy place for Hindus & Sikhs alike. If you are adventure lover Enjoy White Water rafting on the way to Manikaran at your own cost (package does not include). Evening Proceed back to Manali. Rest of the day free to leisure and Independent activities. Overnight stay at hotel. Today Morning after breakfast proceed to Nagar - Kullu sightseeing. Visit Nagar Castle, Nicolas Rorich Art Gallery and The Museum at Nagar. On the way visit Ancient Sandhya Gaytri Temple and Shiva Temple at Jagatsukh. After that proceed back to Manali. Rest of the day free to leisure and Independent activities. Overnight stay at hotel. Morning after breakfast leave Manali and board you deluxe coach for your onward journey to Shimla. 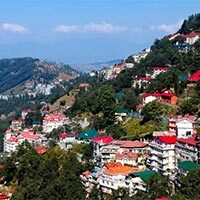 Evening upon arrival at Shimla transfer to your hotel and check in. Rest of the free for leisure. Overnight Stay at Hotel. Today after breakfast proceed for sightseeing of Kufri. Kufri is a small hill station in Shimla district of Himachal Pradesh state in India. 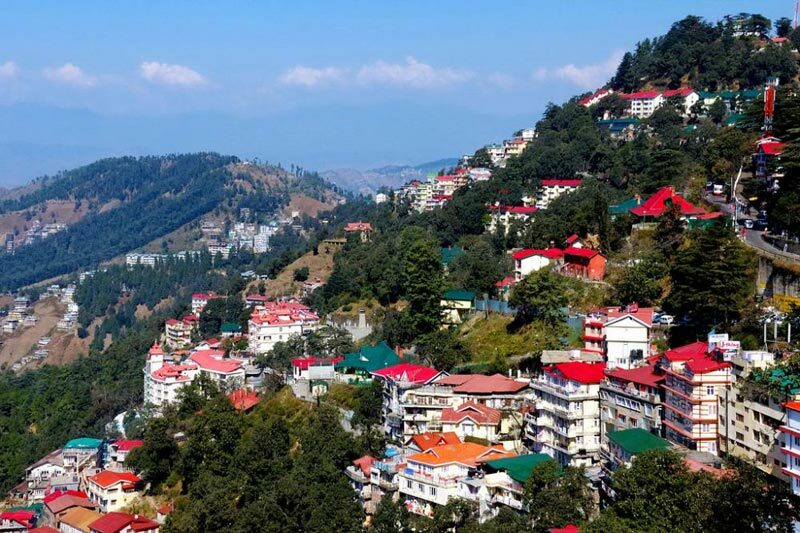 It is located 13 km from the state capital Shimla on the National Highway No. 22. The highest point in the surrounding region, visit Himalayan Wild Life Zoo which hosts rare Antelopes, Felines and Birds including Himalayan Monal, the recent state bird of Himachal Pradesh. During winter a meandering path through the potato plantations turns into a popular Ski track. Spend your whole day there and return back to Shimla by evening. Overnight at stay hotel.